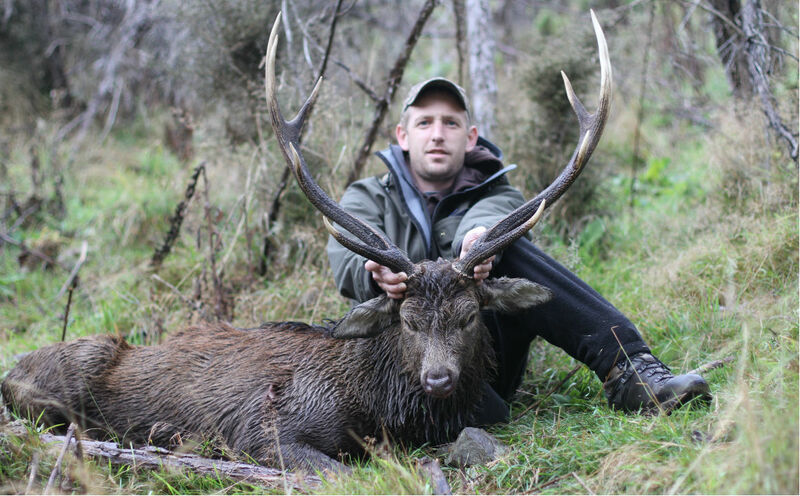 Welcome to HUNTING DOWNUNDER, leaders in Red Stag and Big Game hunting in New Zealand where we offer some of the best opportunities possible to obtain quality trophies throughout our wonderful country. HUNTING DOWNUNDER has hunting concessions in both the North and South Islands of New Zealand that are set in relaxing environments that run on a ‘quality not quantity’ attitude with a maximum of 4 hunters (or 2 parties) being in camp at any one time to ensure that ‘personal touch’. 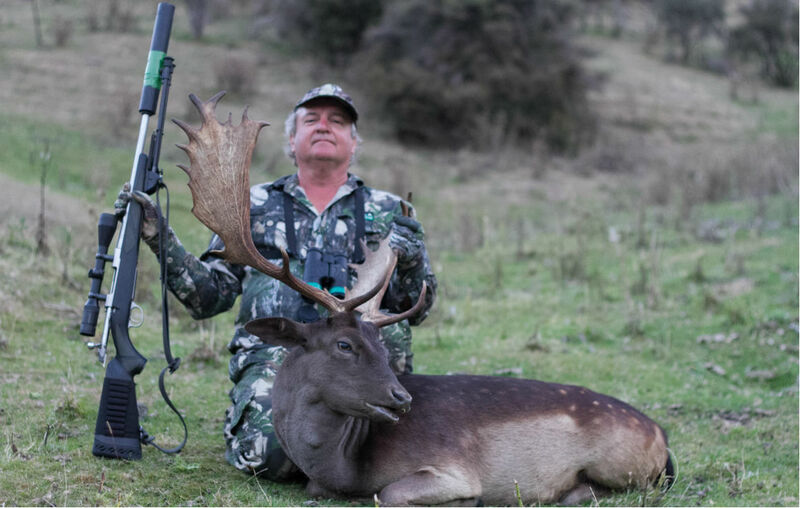 Over the last 10 years, HUNTING DOWNUNDER has been very successful in guiding clients onto trophy Red, Fallow and Sika Stags, we are pleased to also now be able to offer Bull Elk (Wapiti) hunts. If it’s a bit more of an adventure you’d like, HUNTING DOWNUNDER has various options to harvest the mountain dwelling Bull Tahr and elusive Chamois. We offer all of these hunts in both Freerange and Estate environments. As well as big game, small game hunting here in New Zealand is part of our culture, with HUNTING DOWNUNDER, clients get to enjoy the full experience of NZ’s outdoors with Wallaby, Possum, Rabbit and Hare shooting on the list of things to do. Not only do we offer amazing hunting opportunities for game animals, great Duck and Goose shooting can also be arranged. But we’re not just all about hunting, HUNTING DOWNUNDERS concessions have some of New Zealand’s most popular Trout fishing rivers basically in the backyard! including the countries highest naturally stocked river for trout, the mighty Mohaka River!!. 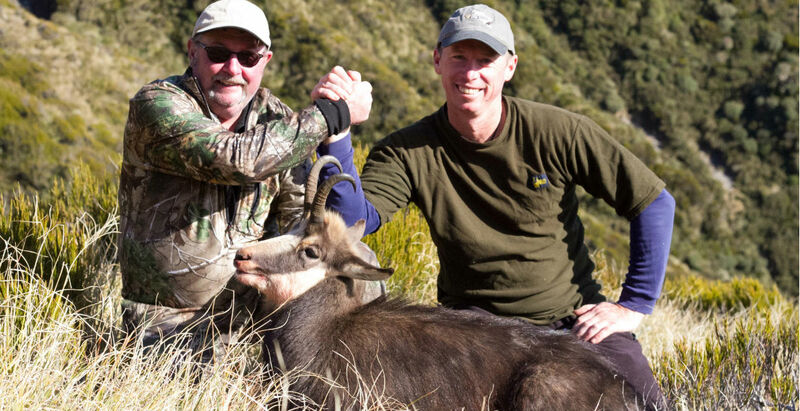 HUNTING DOWNUNDER has concessions on both the North and South Islands of New Zealand. On the North Island, we’re based in ‘the sunny Hawkes Bay’ region on the East Coast, a comfortable one hour drive from Napier Airport. On NZ’s Southern Island, depending on what animal species are being targeted, we hunt on both the East and Western sides. Usual pick up for “down South” will be from Christchurch Airport. 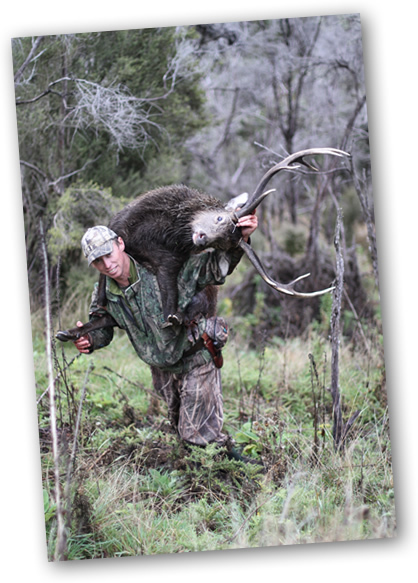 During your experience with HUNTING DOWNUNDER you will hunt with professional guides that are here because we love it. It’s not a job to us, it’s a passion!. Have a look through the website to see the great deals HUNTING DOWNUNDER has to offer and we look forward to hearing from you. Please contact Aaron (owner and head guide of HUNTING DOWNUNDER) for any queries and/or questions that you may have, you’ll be replied to as soon as possible – usually in 2-3 days. Contact us today, we’re looking forward to hearing from you, no matter what, we know we can tailor a hunt to suit you!